This is a simple little Smart Board activity which students can use independently during a Math centre time. Students answer basic subtraction equations and check their answer with a fade away button. 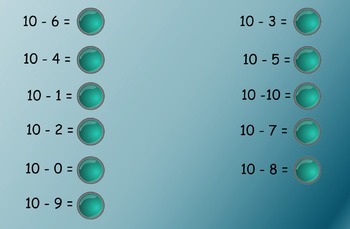 All equations are part of 10 (i.e. 10-9=1, 10-7=3 etc. ).